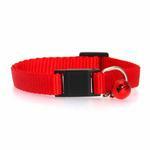 -- Select a Size/Color -- Red 8-12"
Give your kitty lasting fashion with our Nylon Cat Collar in Red. Posted On 10/20/15 by Sonia R from Union City, NJ Yes, Sonia R recommends this product! Posted On 06/12/15 by Thomas T from Leander, TX Yes, Thomas T recommends this product! After having for awhile, others can hear bell. My old ears can't. Bell just rattles. Great collar for the price. Posted On 03/26/15 by Linda H from Gilmer, TX Yes, Linda H recommends this product! Posted On 12/12/14 by JAMIE D from Conklin, NY Yes, JAMIE D recommends this product! i like this collar very much. the color is a beautiful christmas red with matching bell. 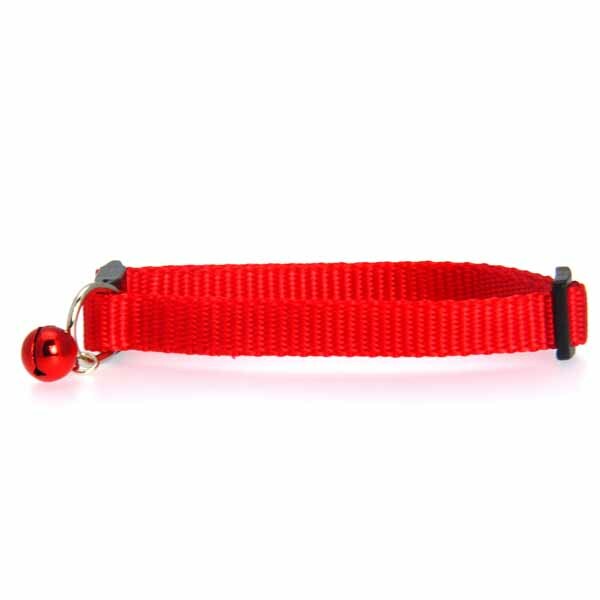 the break-away part is sturdier than on many collars which i like because i use it for my dog. she is so small i need the bell so i always know where she is. good product!